When you continue adding air to a balloon, it becomes bigger and bigger until it can take no more and, with a loud bang, it gives in to the pressure. Not much remains afterwards. Stress has the same effect on people. Too much, and harmful effects will surely follow. But there’s no escaping stress. It’s simply a part of the lives that most of us lead. When stress levels are too high, these simple techniques work well to ease the pressure and to achieve optimal functionality once more. Play a game or your favourite sport to blow some steam off. You can channel the frustration you have into positive energy. When you’re competitive, you use your mental and physical faculties to formulate a plan to come out on top. Challenging your mind and pushing your body is a great way to convert stress into productive energy. Relaxation loosens up tense muscles. As our body and mind are connected-when your muscles relax, it’s easier for you to feel less stressed. Music has always had a healing effect. Pour out your emotions by singing along to a meaningful or catchy tune. Find an inspiring song that relates to what you’re going through. If you’re looking for a way to relax and to put your mind at ease, some soft classical music may be what you need. Tell someone close to you about the pressure you’re under. A sympathetic ear from someone who cares allows you to vocalize the issues, and you could even gain clarity or see a solution when you hear things out loud for yourself. The listener may also have some useful advice or suggestions. Step away from a stressful environment. Depending on your circumstances, go for a short holiday. It needn’t be a drastic or expensive journey. Rather, head for somewhere that radiates positivity. Spend some quality time with a relative or with a friend for a day or two. If you love nature, go camping or if the sea inspires you, head to the beach. If you’re able to go further afield, learning about a new culture can erase the effects of stress. 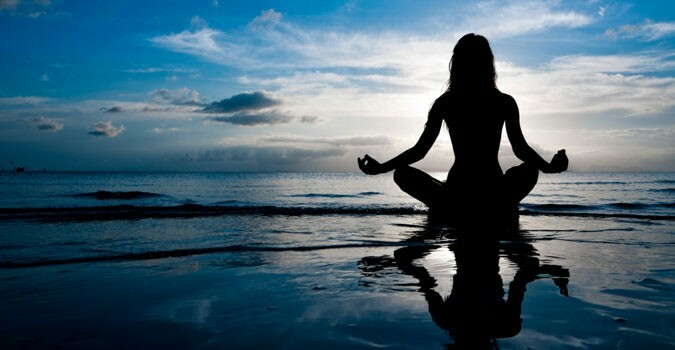 Meditation is a popular way to forget the pressures of life and to be at one with oneself. There are a lot of meditation techniques, so research and choose one that you would be comfortable with. Meditation also helps to develop a more peaceful state of being and a clearer mind. A good night’s rest is vital to allow your brain to organize information and prepare for the next day. Stressed people usually struggle to rest enough, so try some relaxation techniques to calm your mind, watch your diet and exercise. Apart from meditation-yoga and hypnosis will make it easier for you to enjoy quality sleep, and you’ll have a clearer head in the mornings. A pumping heart and a body under healthy physical stress produce endorphins-chemicals that lead to a happy, positive state of being. Any form of exercise that effectively makes your body work can contribute to a calmer mind. Reflect on the reasons for the stress you’re under. Devise a suitable game plan to limit the negative effects that stress can have on the mind and on the body. Think about what you need to do to reduce the pressure. You need to have a clear mind, and you need to be decisive when you’re figuring out the best course of action. A journal is a private space where you can vent or let your emotions flow without feeling judged, and without worrying that you may be an inconvenience to others. Think of stress as a pile of bricks inside you. When you describe the stressful situation on paper or vocally, each sentence you write or say transfers the pile from inside to an external place, word by word, brick by brick. Journaling helps you de-stress in many ways. If you are a religious or spiritual person, use your faith as another avenue of stress relief. Again, it’s about throwing your burdens on an external source so that you are not weighed down by them. Take advantage of events and social occasions at your local church or in your community, and be around people who share the same beliefs as you, and who can offer you a helping hand. Whatever path you take to deal with stress, the important thing is that you’re proactive in letting go of pressures that can do harm. Many times we hold stress in because we’re too proud or embarrassed to confide in others. Don’t let stress build up. It has to find an escape route, so it’s better that you open up the way and let peace and tranquillity replace it.